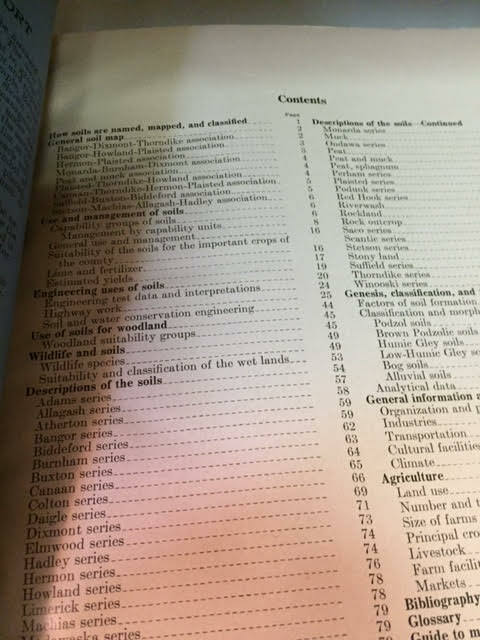 This large manual also gives the following information on the cover: Series 1959, No. 28. United States Department of Agriculture, Soil Conservation Service. In cooperation with the University of Maine Agricultural Experiment Station. 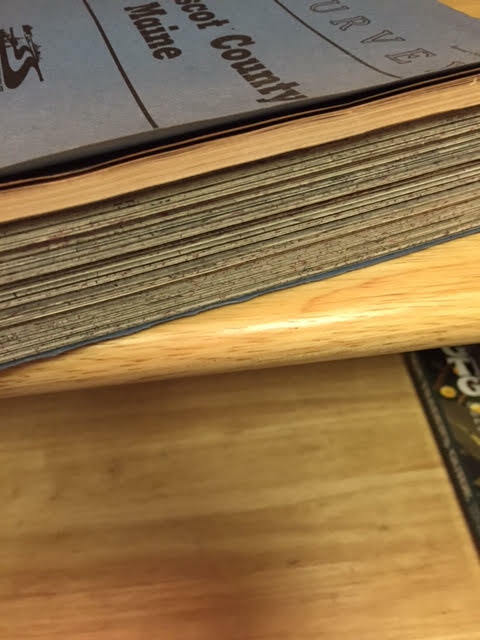 I considered taking the book apart and selling the maps individually for $10 each, which would bring in a lot more money to our shop than selling the manual as a single entity. But I decided against that idea, figuring that someone else with better connections in the Penobscot region might want to do it that way. 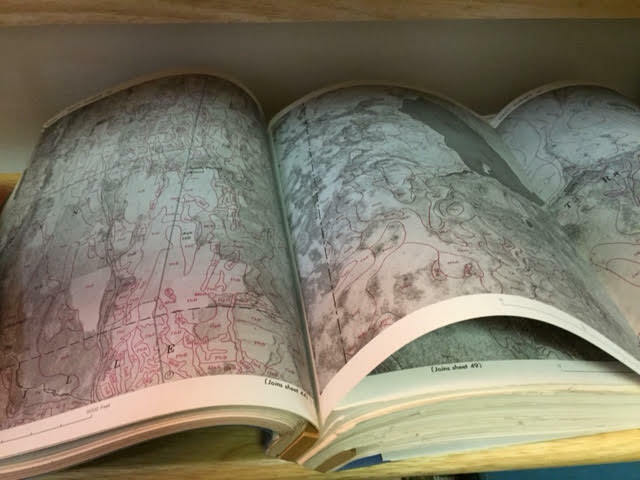 # Pages / Maps: 119 pages plus over 100 fold-out colored topographical maps. 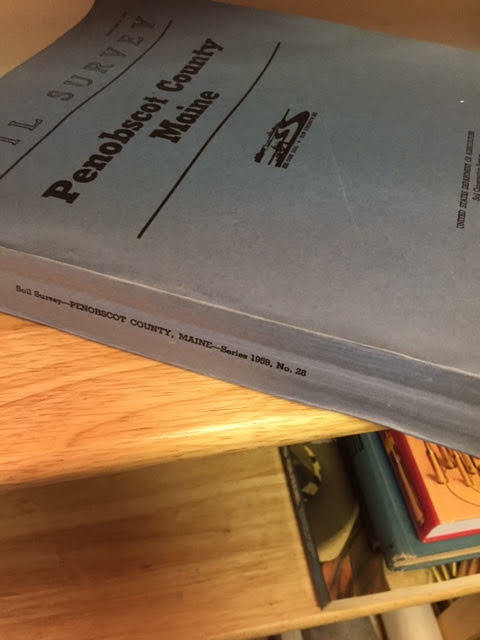 The manual is about 1.5″ thick. 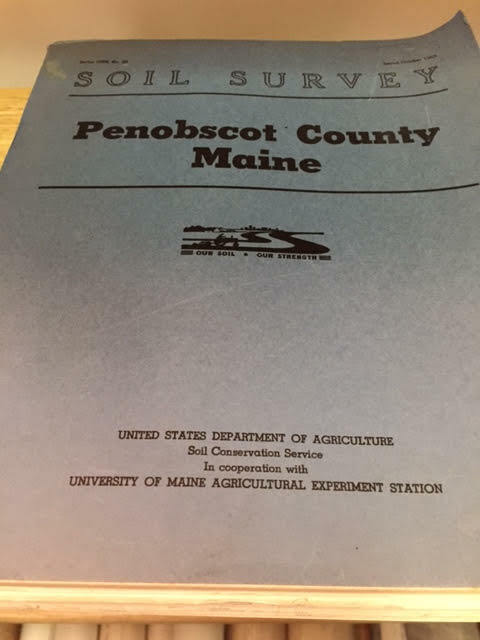 This entry was posted in 1960s Era, Books - History, Books - Maine & Local, Books - Reference, Books - Technical & Engineering, Ephemera - Maine, Maine, Maine - Local Interest, Maps - Historical, Maps - Maine and tagged department of agriculture, dept of agriculture, Heritage Collectibles, Penobscot, penobscot county, penobscot maps, soil conservation, soil survey. Bookmark the permalink.